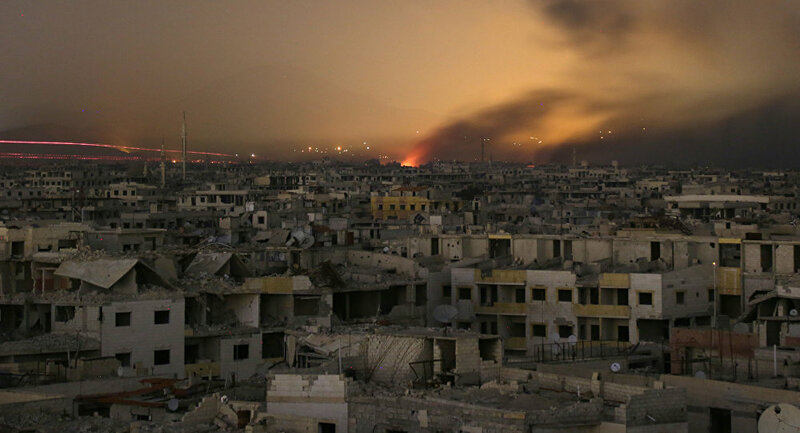 After the false flag chemical weapons attack, the US planned to strike government held districts in Damascus as a “response,” according to the Chief of the Russian General Staff Valery Gerasimov. “We have reliable information about militants preparing to falsify a government chemical attack against civilians. In several districts of Eastern Ghouta, a crowd was assembled with women, children and old people, brought from other regions, who were to represent the victims of the chemical incident, ” Gerasimov said. According to Gerasimov, “White Helmets” activists and film crews had already arrived at the scene with satellite video transmitters are already in place. “This has been confirmed by the discovery of a laboratory for the production of chemical weapons in the village of Aftris, which was liberated from terrorists,” Gerasimov stressed.”Despite constant attempts by militants to disrupt peace initiatives in Eastern Ghouta, the situation in the suburb of Damascus shows a trend toward stabilization. Since the entry into force of UN Security Council Resolution 2401 of February 24, 2018, [a total of] 145 civilians and 13 representatives of armed opposition, including 76 people overnight, have been withdrawn from Eastern Ghouta though the humanitarian corridor created by the Russian Federation,” Gerasimov added. Earlier, UN Resolution 2401, which was passed by the Security Council on February 24, urged the parties to the Syrian conflict to stop all fighting’s and adhere to a humanitarian pause across the country in order to ensure the safe and unhindered delivery of humanitarian aid. Eastern Ghouta was occupied by militants in 2012. 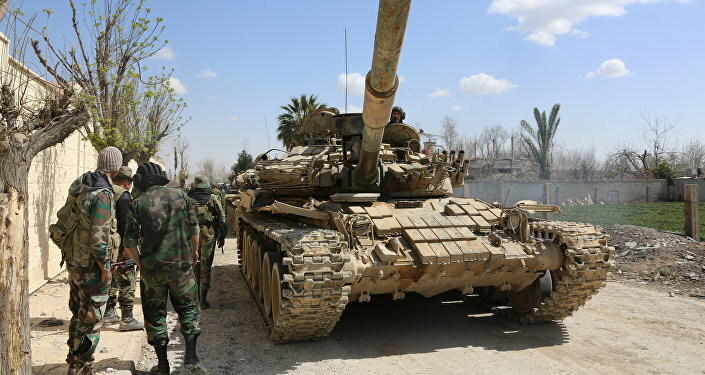 According to the Syrian Army, there could be 10,000-12,000 militants in the area. But even after the UN resolution, the fighting has not ended.